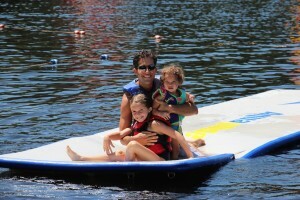 Why Our Camp Parents Love Visiting Day! Reflecting on Visiting Day 2015, a common theme of the summer comes to mind: Top 10! Back in June we did a video about the “Top 10 Things to Look Forward to This Summer” (which was a tribute to our Letterman video in 2000). What we could have included on that list (for the parents, at least) was Visiting Day, but not for the reasons you may think! Yes, of course it’s amazing to see your kids after 4 short weeks, give them a 10 minute hugs and shower them with dozens of treats, but it makes our list because it’s a chance for you to really see change and growth in your child, with the gift of perspective and time. 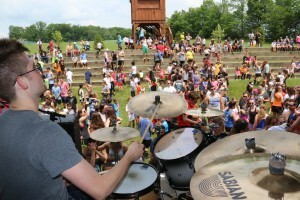 Top 10 Reasons Why Parents Told Us Visiting Day Was a “Top 10 Day”! The smiling faces of the campers, staff and visiting families, walking around camp with their feet barely touching the ground. The true brother and sister relationships the campers have with each other and how their friendships are different because they live together, play together and work together. 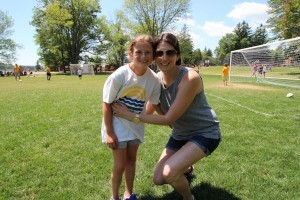 The nice relationships the camp parents form with each other over the years– from that first summer right thru the last (we saw many camp parents crying from the Dorm, Club and LITs- sad to see this as their last visiting day). The authenticity of our staff (who we are so proud of). 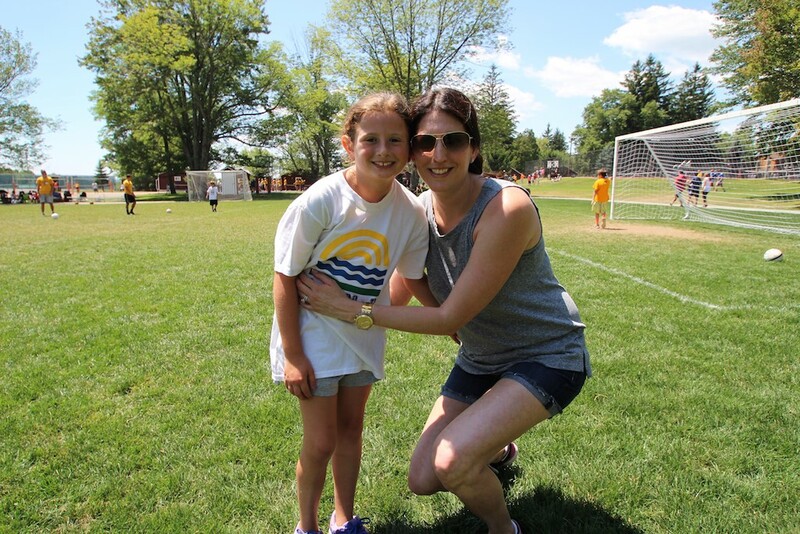 The kindness, the care and the effort you see them put into their job; wanting to get to know the parents of the campers who have been their kids for the summer! From first year counselors to the senior staff and group leaders— there is no greater comfort than knowing your kids are in great hands. The thank yous our campers give their parents. Not just for all the “stuff”, snacks and Vistiting Day treats..but more importantly “thank you for sending me to this camp”. Not sure there is anything better than true gratitude from a 10 year old. 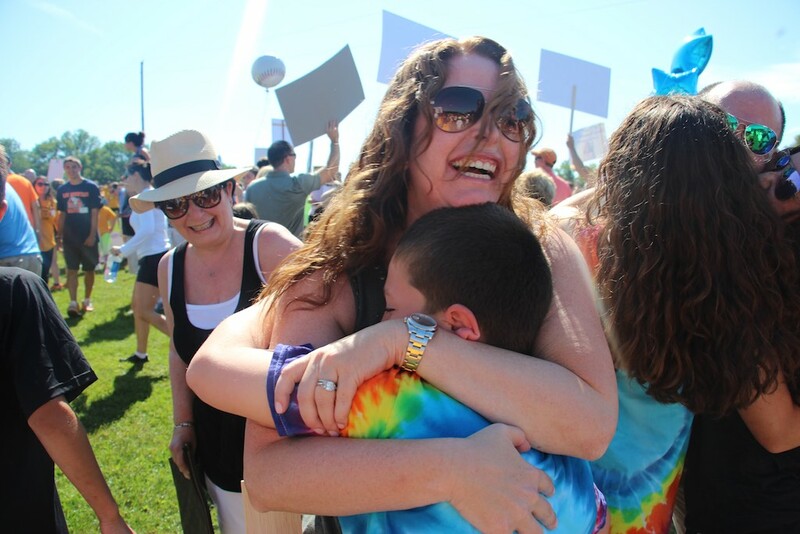 The joy of seeing your camper the happiest they have ever been. Back at home, parents are proud of grades, trophies and accomplishments. But at camp, parents are proud to see their children happy, comfortable, confident and trying new things outside their comfort zone. As Dr. Michael Thompson said “we cannot make our children happy”, but after Visiting Day, I think parents will agree that camp sure can! The excitement camper has to share something that is completely their own. Even for alumni parents, there is nothing better than experiencing camp through your camper’s eyes. Getting to experience your child show them THEIR CAMP, THEIR BUNK, THEIR FRIENDS, THEIR WORLD. Because it’s something they can own and take pride in, knowing it’s special. The possibilities. When you send your kid to camp, in just 4 short weeks you don’t even realize the growth and development that is possible when they are away from home. Imagine what can happen in just 3 more weeks! The sibling love. Whether your siblings are at camp, enjoyed sibling sleepover or just spent the day together. Camp makes siblings appreciate each other so much more. 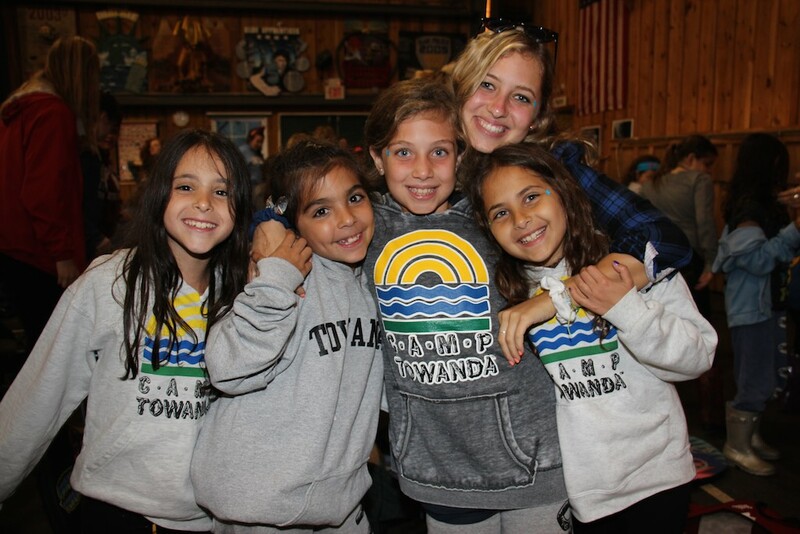 The pride in being a part of the Camp Towanda Family. 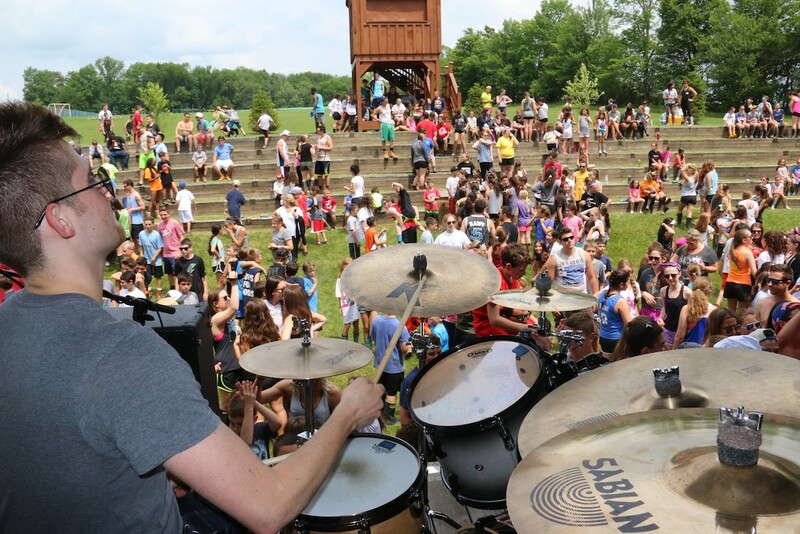 It’s not easy these days to be surrounded by hundreds of families, staff and Camp Directors who share the same down-to-earth values and can spend the day in harmony. The energy at our Visiting Day is not chaotic, stressful or emotional. It is peaceful, joyful and a celebration that no one takes for granted. Week one was off to a very wet but wildly fun start at Camp Towanda. We made the best of the weather, creatively using all of our indoor facilities to the max and the campers and staff didn’t miss a beat. Our Towanda ponchos and rain boots have gotten their fair share of wear and mud GHOST is a new activity here at camp! Even though it has only been a week, the camaraderie, smiles and friendships are as if we have been together a long time already. We have been appreciating the rare glimpses of sunshine, soaking in the fun of kickball, volleyball, basketball, free swim and more! And when the showers rain down on us, we have been seeking cover at indoor basketball, ping-pong tourneys, lego room, old-school board games, treehouse challenges, gaga, indoor arena soccer, Arts & Crafts, dance, Culinary with Chefs Ben, Hannah and Judi, gymnastics, martial arts, play rehearsal, zumba and more. And while the fields dry out we have managed to play lacrosse on the tennis courts because, why not!? We have enough to keep us busy. Rain doesn’t get us down one bit- we are “water resilient”! Our evenings have been filled with Towanda favorites like talent shows, open mic night, Towanda Open (dizzy bats, pudding pie in the face, messy fun!) and Unique Entertainment Game Show to name a few and capped off with Under the Lights for our Upper Camp and milk & cookies for Lower Camp. We celebrated the July 4th long weekend with our annual traditions of breakfast on the lawn, Campapalooza outdoor concert, record-breaking attempt to get into the Guinness Book of World Records (this year the entire camp with stuck together with Chinese finger traps), a day of sunshine filled co-ed activities, luau, BBQ and fireworks set to 1812 Overture! The first week really did end with a bang! Stephanie and I and the senior staff (Head Counselors, Camp Moms, etc.) spend the bulk of our day out there…in the trenches, managing, observing, directing, participating…at eye level…getting into it. Knowing your kids and their counselors so we can successfully guide and direct them towards a successful experience here at camp. We are not in the office, we do not carry cell phones or technology with us…we are in the moment with the campers and staff. We break the cliques, we balance the group, we foster a brotherhood and sisterhood…the road to achieve that isn’t easy, but we have the tools here to be successful…things happen here that just can’t happen anywhere else! 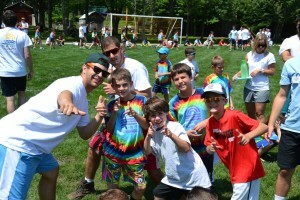 Just take a look at our oldest campers- The Dorm & Club! By now you have probably received the first wave of letters…that’s what we call “old news”! You may need to read it, take a deep breath and then go out to dinner! We are on it! 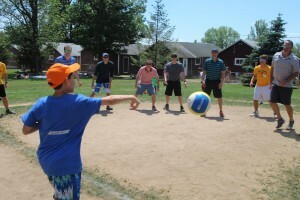 Let the excitement, activities, skill development and games continue! Thanks for trusting us to do what we do and thanks for making the tough parenting decision to let us do it!